If you were skeptical about claims your choice of footwear could tone your legs and tush, you were right. Reebok has agreed to pay $25 million to consumers who bought their RunTone and EasyTone shoes after the shoe company claimed the togs would tone legs and buttocks. The Federal Trade Commission reached the agreement with the shoe giant to settle charges it deceived consumers. “The FTC wants national advertisers to understand that they must exercise some responsibility and ensure that their claims for fitness gear are supported by sound science,” said David Vladeck, Director of the FTC’s Bureau of Consumer Protection in a statement on the FTC's website. 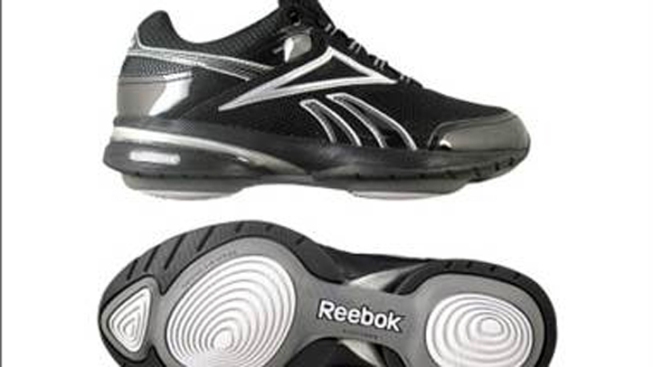 Reebok agreed to the settlement, but did not back down from its claims. "Settling does not mean we agree with the FTC’s allegations; we do not," Reebok spokesman Daniel Sarro told msnbc.com in an e-mail. "We have received overwhelmingly enthusiastic feedback from thousands of EasyTone customers, and we remain committed to the further development of our EasyTone line of products." The FTC said consumers will get the refunds either directly from the FTC or through a court-approved, class action lawsuit. These claims "didn't withstand scrutiny," Vladeck said. "The evidence was wholly insufficient." Ads often make vague boasts, but these claims were deemed specific enough to need scientific backing. It's unclear what the settlement may mean for other shoe manufacturers who make claims about their versions of toning shoes, including Skechers and New Balance. Consumers who wish to apply for a refund should visit http://reeboksettlement.com/FTC and fill out an online application. Vladeck said the amount of refunds who be determined by a federal judge who will oversee the process.